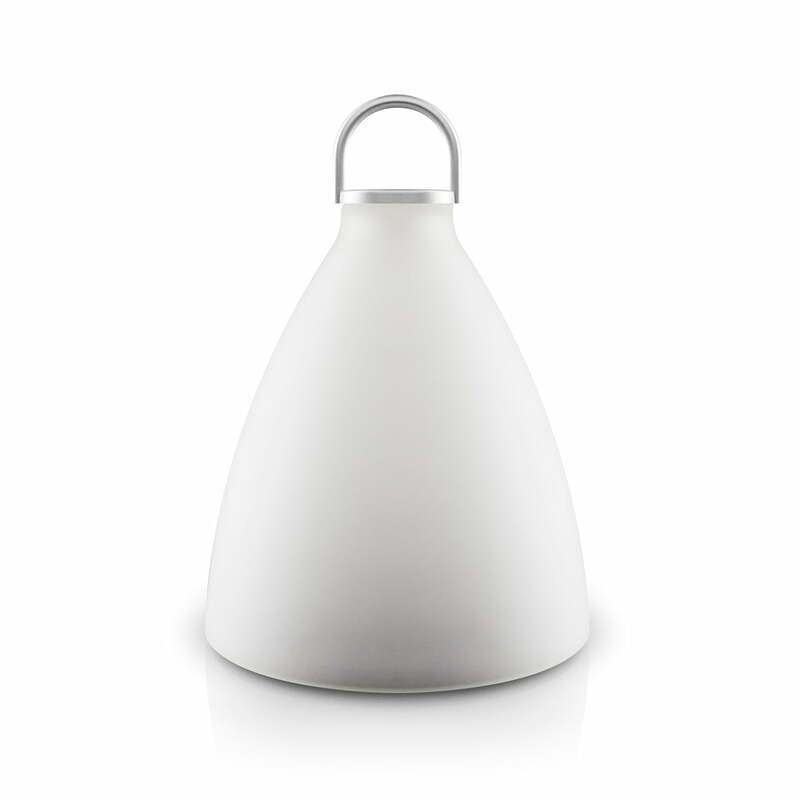 The SunLight Bell solar light by Eva solo is 100% solar powered, cable-free and eco-friendly. It provides a soft light in the garden or on the terrace on a warm summer evening. 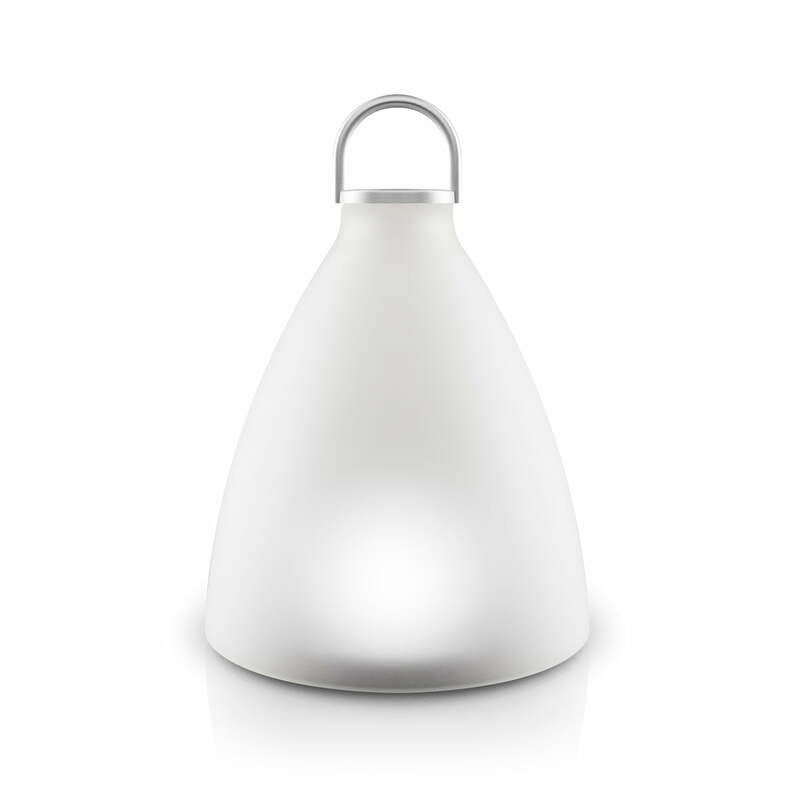 During the day, the SunLight Bell solar light charges thanks to the integrated and thus invisible solar cells. 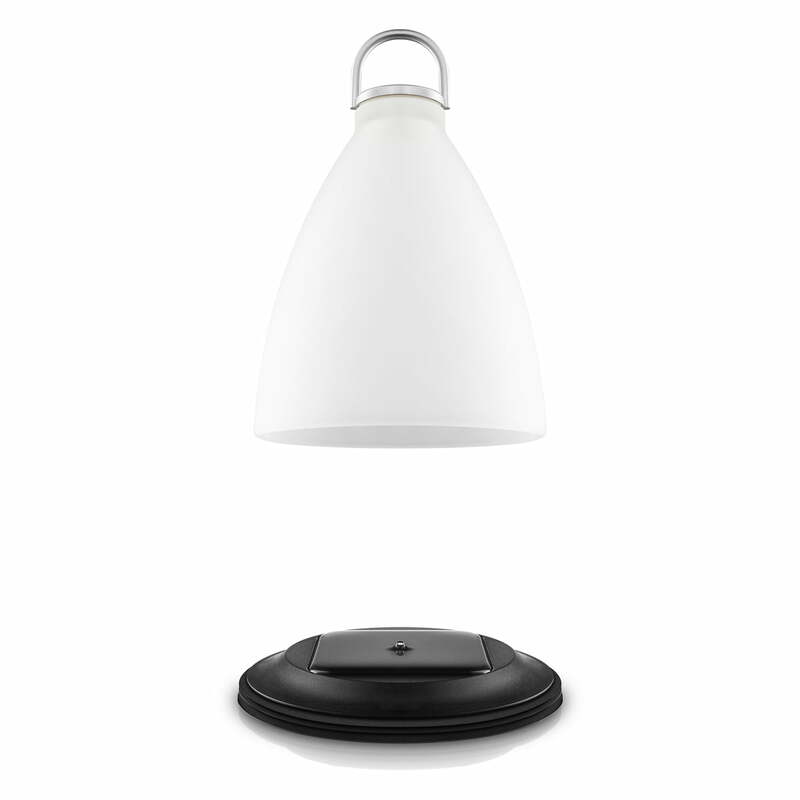 In the evening or at night, the lamp is ready to emit a beautiful warm light that ensures a cozy atmosphere. 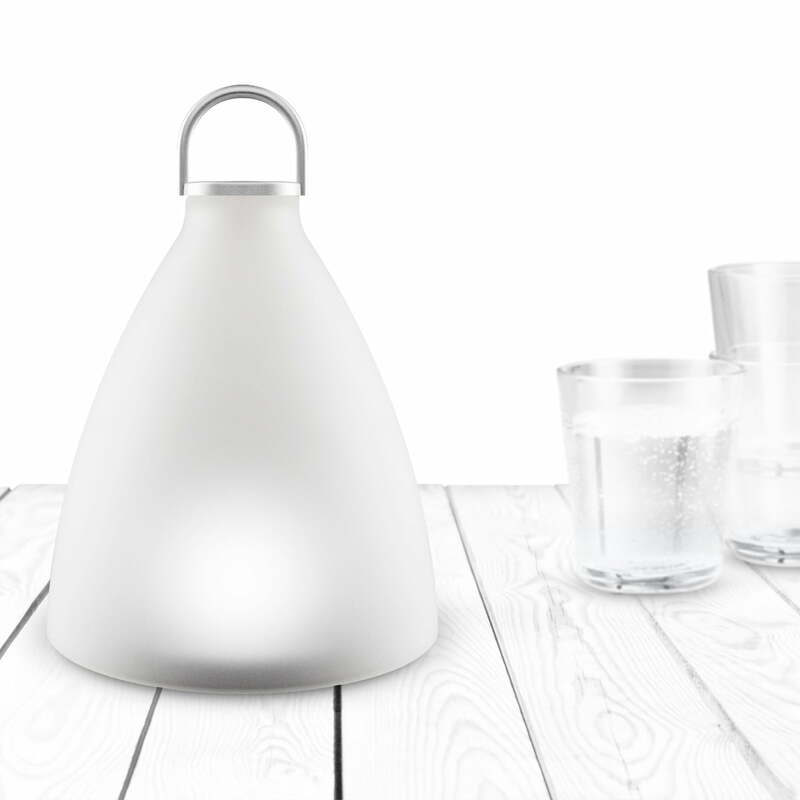 An eight-hour recharge time in strong sunlight is enough to provide light for up to 20 hours. It can be placed anywhere, or can be hung up using the ring.